Three weeks ago, I published a post about my The Works of Charles Dickens– Cleartype Edition (1868) set. In it, I explained how I found a huge stack of antique books at a garage sale months prior for ten bucks. 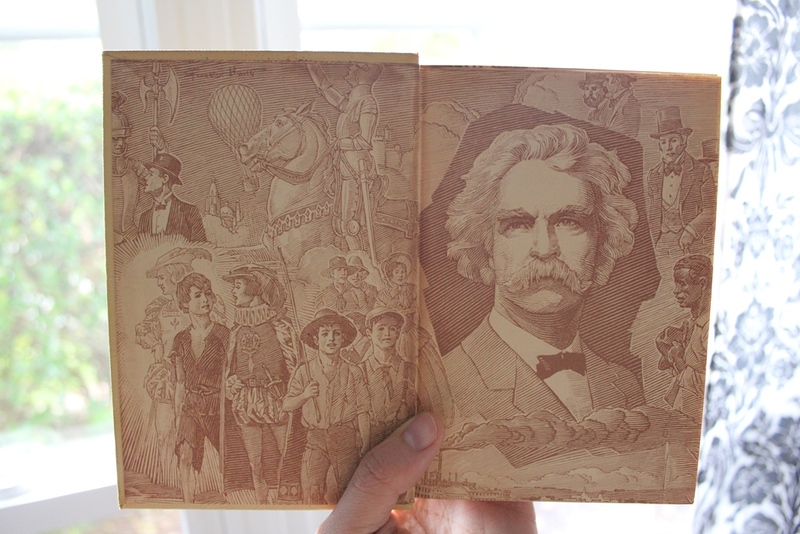 That pile of antique books also included this 24-volume Works of Mark Twain– American Artists Edition collection. This edition contains a peculiar history. The Harper and Brothers “little green” Authorized Edition and the American Artists Edition are bibliographic puzzles for book buyers and collectors. Some Harper printing codes indicate that printing plates used for the editions were plates that had been used in earlier more expensive sets. Other printing codes as late as 1935 are found in some volumes. No evidence has been found that the editions were ever marketed directly by Harper and Brothers and no evidence has been found to indicate the sets were marketed prior to 1937. Following the history of the editions through available advertising and the memoirs of the people involved indicates the primary purpose of the sets was an enticement to increase newspaper circulation. This was accomplished by luring readers to buy daily newspapers featuring clippable coupons that could be redeemed, along with a few cents, for books until a complete set was obtained. The Post’s expiration notice indicates readers were charged 93¢ for each 4 volumes of the 24-volume Uniform Edition of Mark Twain’s works (about 23¢ per volume) plus 24 newspaper coupons or certificates. The American Artists volumes were sold at 4 for $1.66 (about 41¢ per volume) until a complete set of 24 volumes was obtained. According to the advertising, Harper and Brothers had manufactured 100,000 sets of the books. As you can see, the pages look incredible. There are tons of pictures in every volume of Twain or of scenes from his work. Considering the age, this set is in impeccable condition. Volume 12: What is Man? 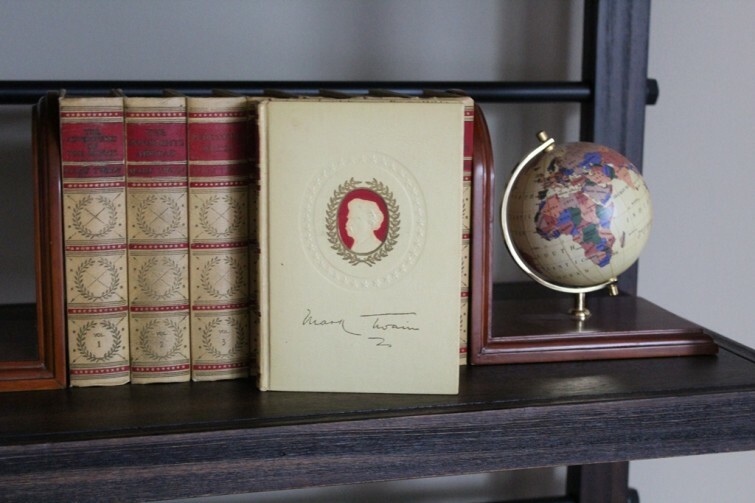 For more information on the great novelist, check out Autobiography of Mark Twain.